And their products are fantastic. I received two granolas, Choco Choco and Apple Pie, and two bar bites , Vanilla Nut and Lemon. They also make crackers which were not in this box but I am definitely going to order some! The packaging is simple and appealing with a little teaser peek-a-boo window to show you exactly what you are in for when you open the reusable bag. An extra star for the reusable bag! The ingredients are simple and fresh. The texture is right on. The granolas are great for snacks or with fresh homemade vegan milk. The bar bites are really cute. The Vanilla Nut are round and the Lemon are rectangular which my son noticed immediately and made eating them that much more fun. Personally, I liked the Vanilla Nut the best since vanilla is basically my all time favorite flavor. But all three of us enjoyed all four flavors overall. When I find a company like this, it makes me realize I don’t have to do all the work myself. 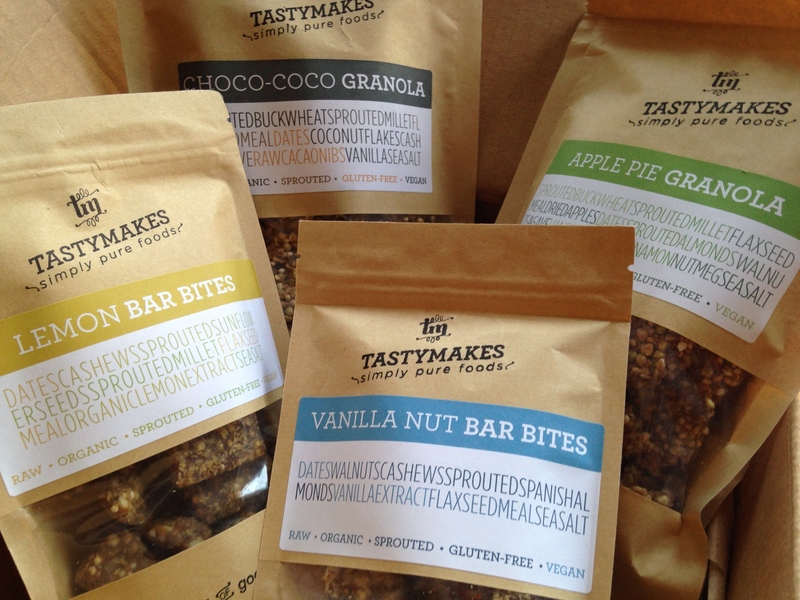 Tastymakes products can be ordered individually or you can design your own! Yes, you can choose the ingredients and Tastymakes rolls up their sleeves and goes to work. You can even name the bites, granola, or crackers yourself. You know something like, Lisa’s Project: Crackers! It doesn’t end there. Tastymakes has another brilliant idea. You can order a Tastybox each month filled with a bunch of different products. The boxes can be ordered in three sizes, simple, smart, or super. Or, you can design your own box. I can’t say enough about this company. If you think you don’t have time to cook and you read my blog and marvel at my cooking abilities 😉 then run out and order from Tastymakes today! PS: Look what we just found! 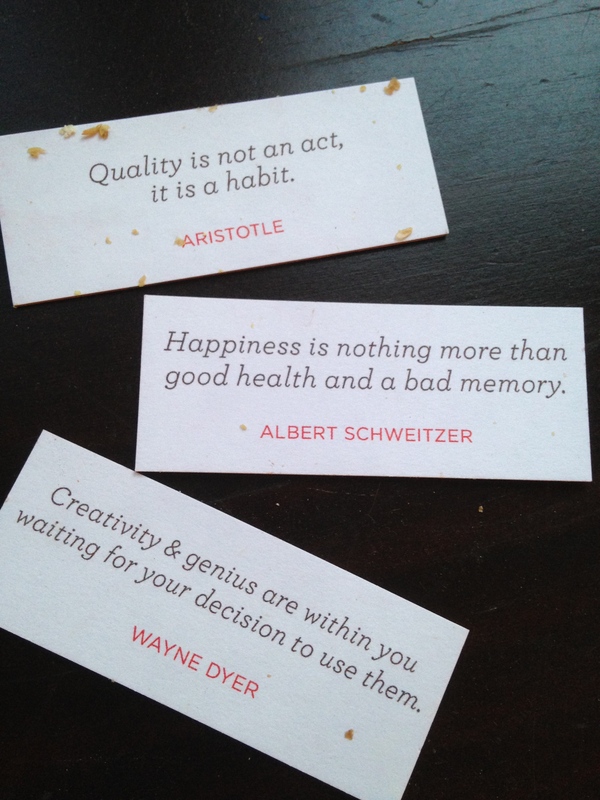 We were just snacking on the granola and found a little ticket with an inspirational quote. I went digging into the other bags and found 2 more. Another reason to love this company!